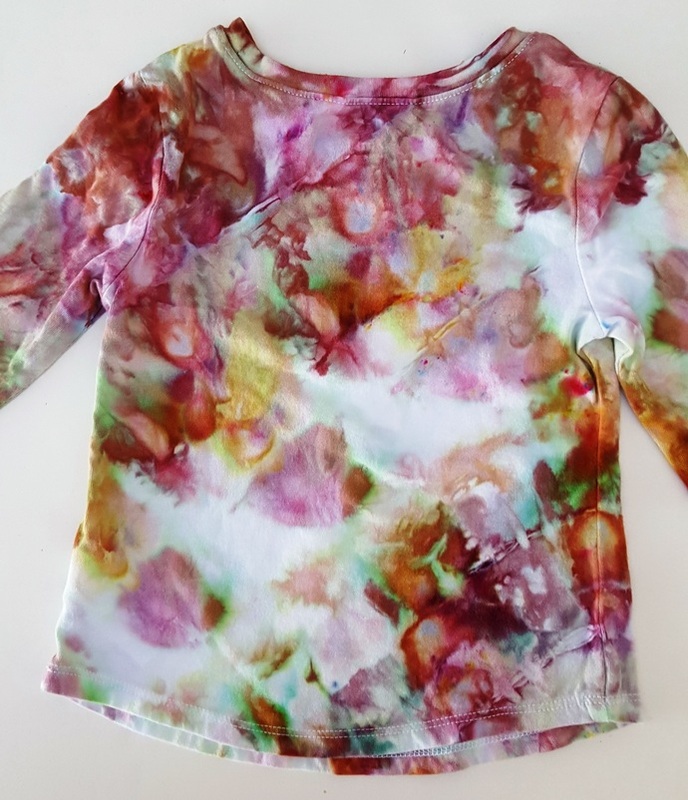 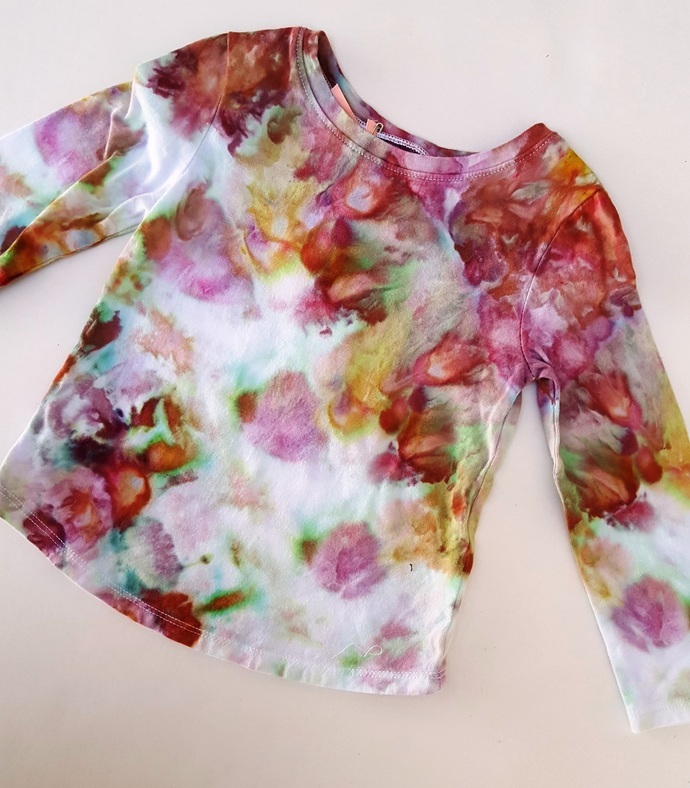 Colorful ice dyed cotton top. 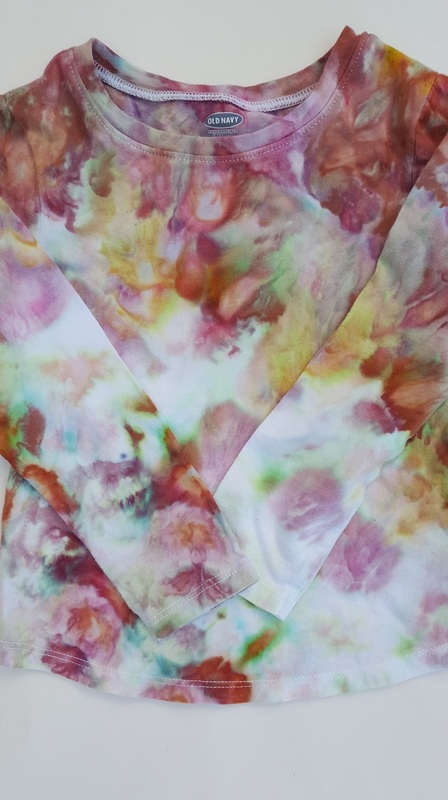 Ice dying is similar to tie-dying but ice is used to make the designs. 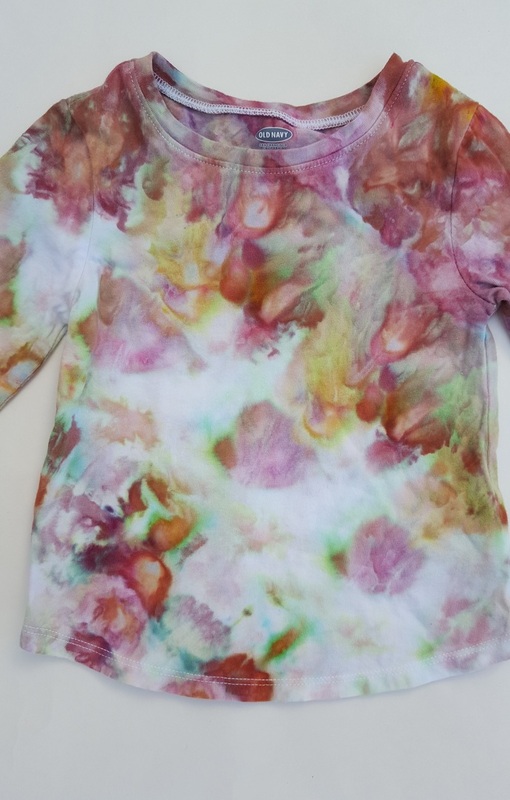 Size 2T; 18" below sleeves, 13" long. 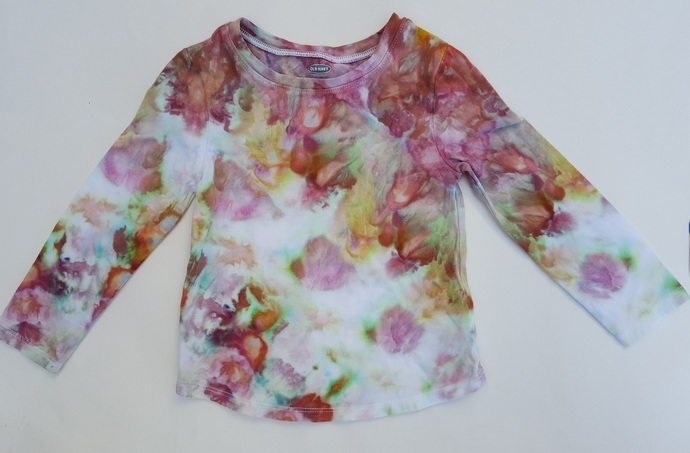 This is a recycled product; the original top is a "Old Navy" brand.